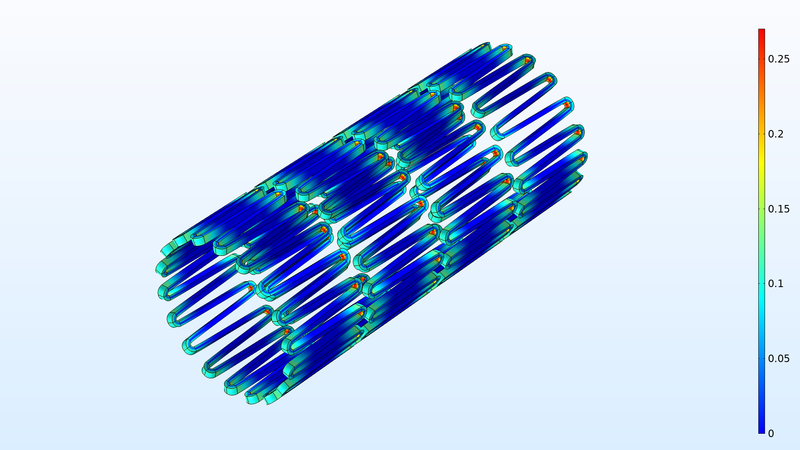 For users of the Nonlinear Structural Materials Module, COMSOL Multiphysics® version 5.4 includes the Mullins effect, damage in brittle materials, and new options for hyperelastic materials with low compressibility. Learn about these features below. 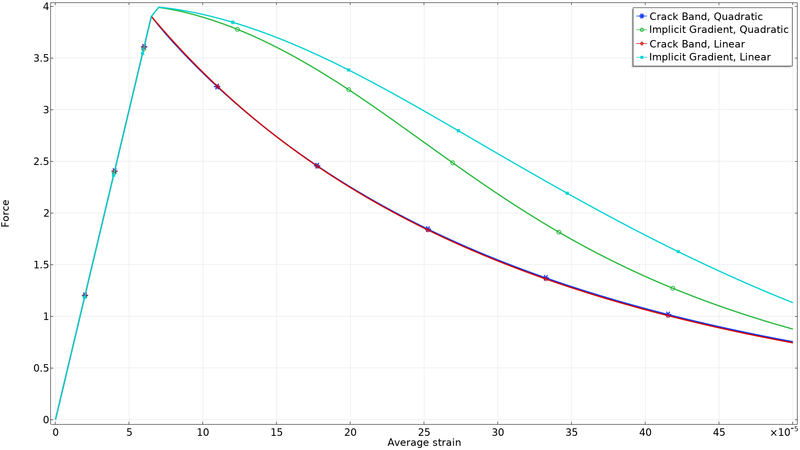 The Mullins effect is a damage-like phenomenon in rubber, where the stress-strain curve depends on the maximum strain that the material has been subjected to. You can now model this effect by adding a Mullins Effect subnode under the Hyperelastic Material feature. Two common models for modeling the Mullins effect are available: Ogden-Roxburgh and Miehe. Stress vs. stretch showing the Mullins effect for a loading-offloading scheme. The graph is colored by increasing value of the load history parameter. Stress vs. stretch showing the Mullins effect for a loading-offloading scheme. The graph is colored by increasing value of the load history parameter. For brittle materials, damage caused by cracking is an important failure mechanism. The new Damage subnode under the Linear Elastic Material node makes it possible to incorporate continuum-based damage models where the material softens as an effect of the severity of the loading. Various effective scalar damage models based on equivalent strain measures, including user-defined expressions, are available. You can also select different rules for the damage evolution. Softening material models are numerically challenging due to strong localization of the damage. For this reason, regularization methods that smooth the damage over a finite region are often used. Two such methods are available: crack band and implicit gradient. 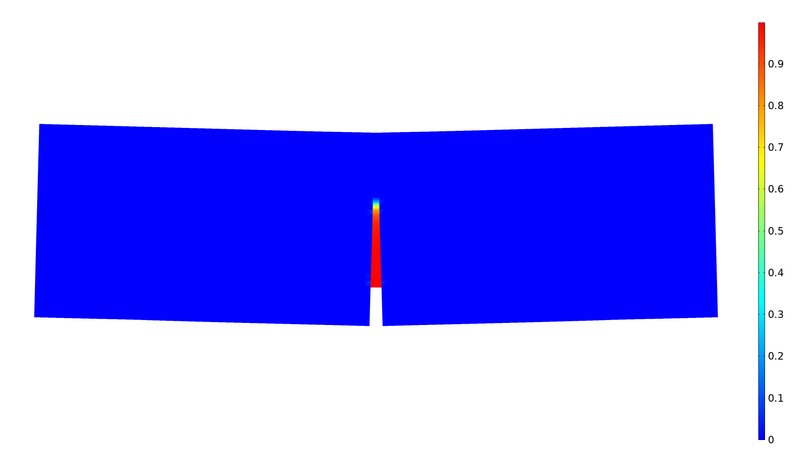 Damaged zone when bending a notched beam shown together with the force-displacement characteristics using different regularization methods. 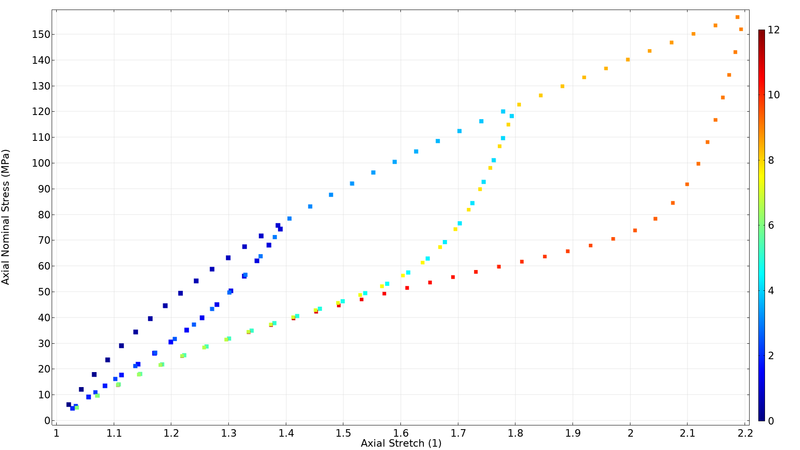 Damaged zone when bending a notched beam shown together with the force-displacement characteristics using different regularization methods. Many hyperelastic materials, like rubber, have very low compressibility. To solve such problems, special numerical methods must be used, like mixed formulations. The options for modeling incompressibility or near incompressibility in hyperelastic materials has been extended, such that you can now choose between different formulations for the volumetric strain energy contributions, as well as model full incompressibility. Stress levels and contact pressure in a rubber seal, modeled as fully incompressible. 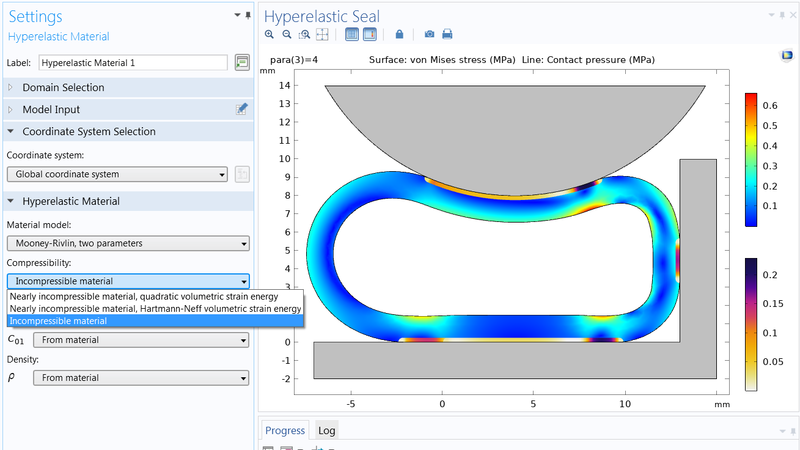 Stress levels and contact pressure in a rubber seal, modeled as fully incompressible.